When a person “becomes a Christian”, it’s not the ancient Near Eastern tribal Yahweh they are presented with, but a slick modern super deity with few links to the Old Testament . . . known simply as God with a capital “G” who is really an anthology of Classical pagan attributes taken on after having absorbed the myths of other ancient Near Eastern Semitic gods. This apologetically hopped up deity which grew out of the ideals of Neo-Platonism is constantly gathering apologetic power be they from the Summa Theological concepts of Thomas Aquinas to Karl Rahner’s Systematic Catholic Theology to Barth’s Protestant Church Dogmatics and on to Alfred North Whitehead’s Processed Reality. The evolution of God is now considerably much like the woman Lucy in the current hit movie of the same title or a God who continues to acquire any philosophical protection the best apologists can mentally bestow upon him. Though many conservative Christians don’t believe in evolution, they truly hold a double standard as most don't seem to realized how evolved and philosophically advanced their God has apologetically traveled from an ancient tribal confused deity whose mental ability lost the first two humans he created in the small garden of Eden (Genesis 3: 8-9) to presently a hopped up revolutionary polytheistic (Trinitarian) Father figure. Gone are the direct syncretic links to Classical religions which required God to bred with a human (the Virgin Mary) inorder take on humanity, to be sacrificed as a blood atonement only then to reabsorb himself back into an indefinable Trinity concept. The illogical is made logical though an uncritical line of reasoning called theology which continues to use confused ignorance running under the rubric of faith to explain how a single God can now exist both in Heaven and on earth at the same time while its third appendage (the Holy Spirit) can actually live inside the physical hearts of billions of believers as they fight amongst themselves over who and what God really is and what theological doctrines he really wants. Truly, the Christian God has become much like a Harley Davidson motorcycle which basic model is advertised along with hundreds of (theological) add-on accessories to make your Harley bike (your God) a real extension of yourself and a God that can never be apologetically outdated due to an endless supply of custom accessories (apologetic add-ons). 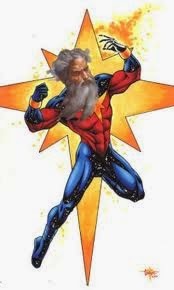 In the final analysis, this Super Mega God (as defended by Christian apologists today) has been synthesized in the philosophical test tubes of countless thinkers from the primeval Hebrew scribes to the complex mental sophistications of full time Christian philosophers whose income is directly proportional to the non-stoppable God they create. 1) For a concise introduction to how Christianity updated their genetic God to fit the needs of the intellectual Greco-Roman world, see: Henry Chadwick, Early Christian Thought and the Classical Tradition (Oxford University Press, 1966). For a detailed account of the continual growth of God though dogma, I strongly recommend Jaroslav Pelikan’s, The Christian Tradition: A History of the Development of Doctrine 5 volumes set: Vol. 1: The Emergence of the Catholic Tradition (100-600), Vol. 2: The Spirit of Eastern Christendom (600-1700), Vol. 3: The Growth of Medieval Theology (600-1300), Vol. 4: Reformation of Church and Dogma (1300-1700), Vol. 5: Christian Doctrine and Modern Culture (since 1700) (University of Chicago; 5th edition (1991). Yale professor of Church History, Jaroslav Pelikan, was the Symth Lecturer at Columbia Theological Seminary while I was there. 2) Christianity drew it shape and power from the environment that formed it. Zoroastrianism had already shaped Jewish Exilic theology (See, E.R. Goodenough’s Jewish Symbols in the Greco-Roman Period, Princeton University Press; Abridged edition,1992). The point to remember here is that there were Judaisms and Jesus Sects / Christianities. These poly-social-theological systems drew from their environments both cultures and languages. There was never a pure form of either religion, but only ever evolving forms. Before you waste your time with a comment that might not be acceptable read my comment policy.